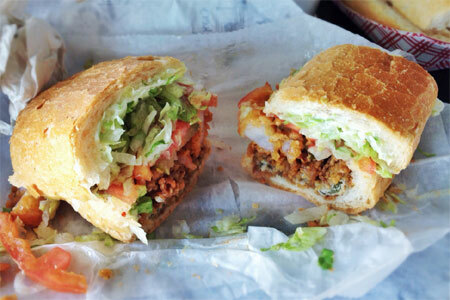 Stuffed with fried seafood or packing hot roast beef on French bread, po' boys are the Big Easy's quintessential sandwich. From Magazine Street to Metairie, there are plenty of places to hunker down with the two-hander. GAYOT has rounded up the best of the bunch for this list of the top restaurants for po' boys in New Orleans, presented in alphabetical order.